La première geisha de l’hiver avec son grand manteau rouge bordé de fourrure blanche est née. Elle s’appelle Mariko. Elle caline son petit chat Maneko. 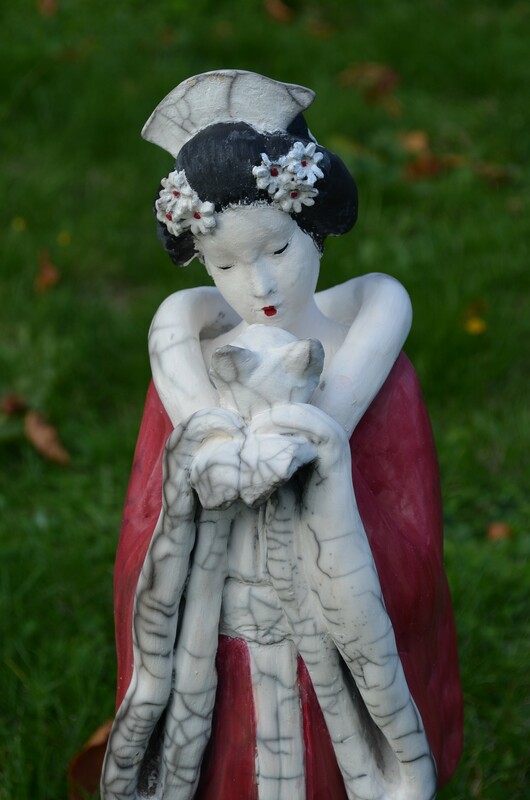 Elle est réalisée en raku nu avec porcelaine et terre sigilée rouge. Thanks for this excellent article. Also a thing is that a lot of digital cameras come equipped with the zoom lens so that more or less of your scene to generally be included by simply ‘zooming’ in and out. All these changes in concentration length tend to be reflected within the viewfinder and on huge display screen right at the back of your camera. Hi there! This blog post couldn’t be written any better! Going through this post reminds me of my previous roommate! this web page are in fact remarkable for people knowledge, well, keep up the nice work fellows.